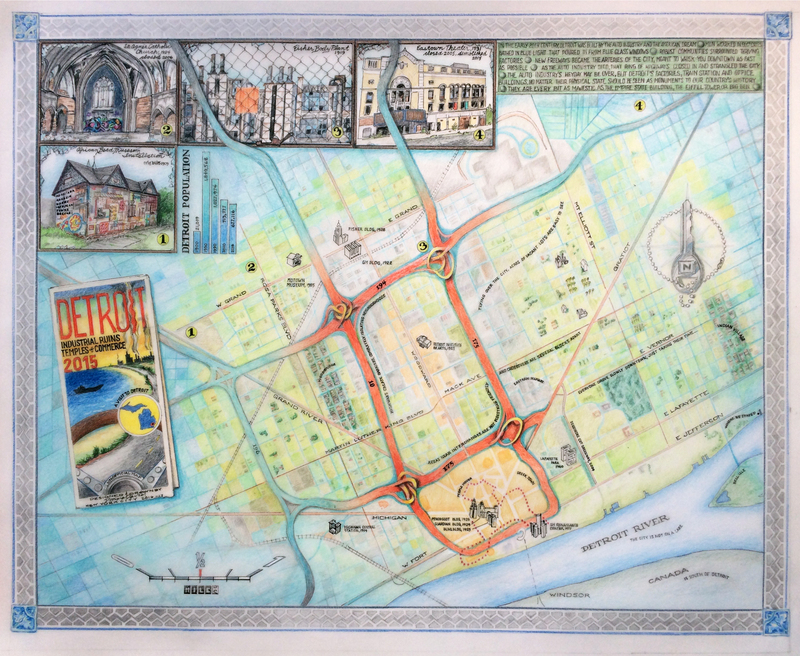 I’m thrilled to announce that my Detroit map, “Detroit: Industrial Ruins, Temples of Commerce” was selected as a Map of the Month by the American Geographical Society! This is the first major map of my sabbatical and a nice surprise as I near the end of this fantastic year. Read about my process here and here. TagsAmerican Geographical Society Detriot paper travel USA wow! Awesome. Donna this is really good, and certainly deserves the recognition. What a year you are having!